Wednesday Clinics taught by Coach Clint! $5 per session. 3:45pm-5:30pm at The Sandbar in Salt Lake City. Email aloharick100@gmail.com to register. We have expanded our powerhouse California beach club into Salt Lake City, Utah! The time is right to bring our proven system to Utah to get it on the national map as one of the best cities for colleges to recruit beach volleyball players. B.E. is well connected in the college and professional beach scene and will get our athletes national exposure to the best colleges! 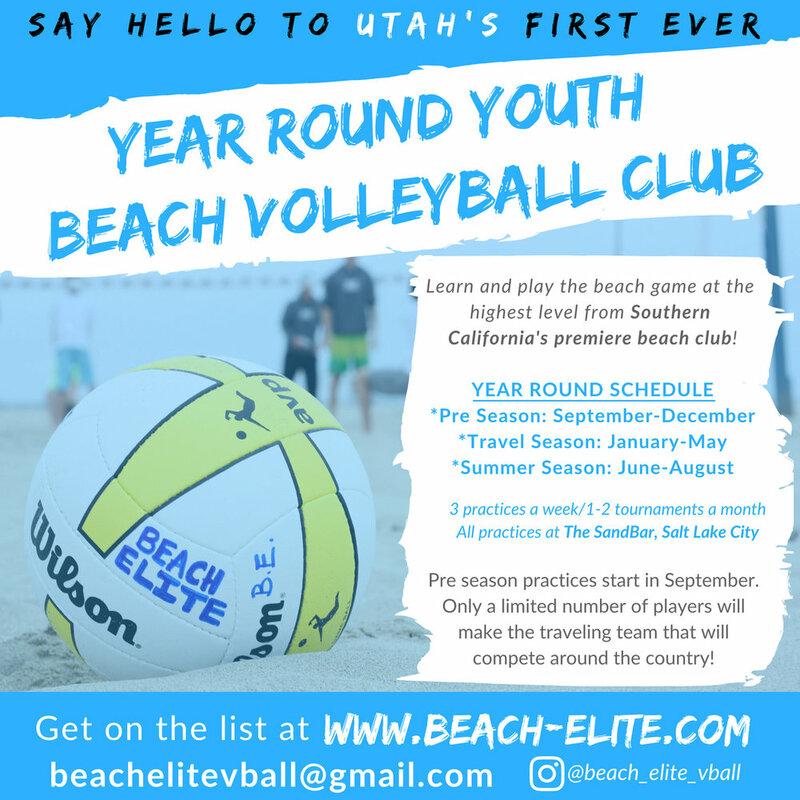 Not only are we the first year round beach volleyball club to come to Utah. We are the ELITE beach club of Utah. Everything from our professionally trained coaches, program and our attention to detail, has made us a well respected club of Southern California and we are bringing that to Salt Lake City. This is a game changer for Utah as we are first year round beach club for the Beehive state! 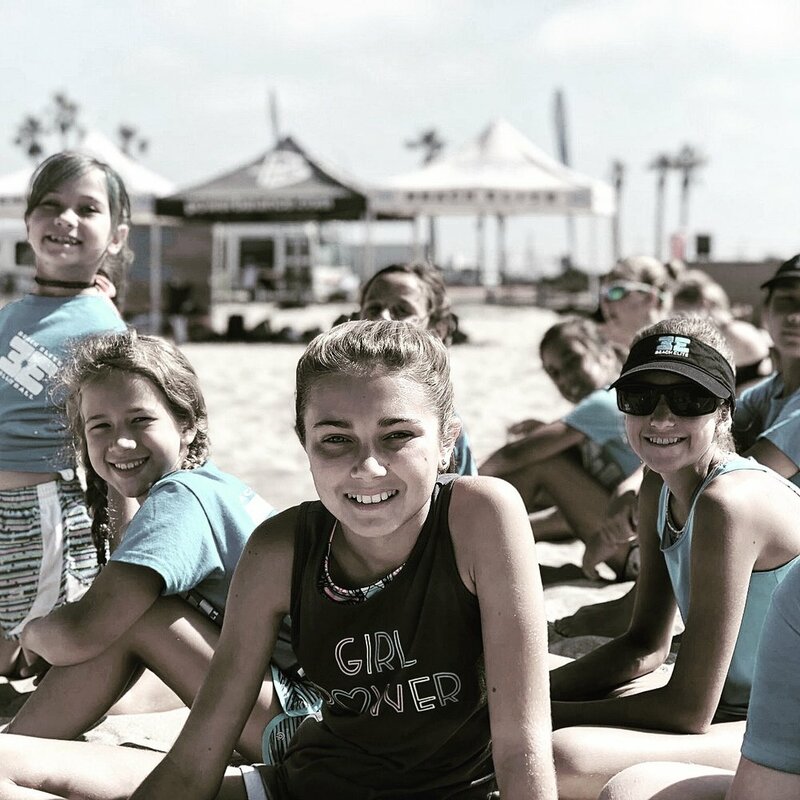 TOURNAMENTS: Beach Elite will compete in high level tournaments throughout the country during our travel Season, mainly California, Las Vegas and Arizona. We will compete in two tournaments a month.